The review of short documentary "The Guest" by Sebastian Weber that has its international premiere at Doclisboa in Portugal. “You should look for a soul mate, life would be easier”, says a priest visiting an old bachelor in his farmhouse around Christmas. A wife would take care of the cooking and ironing. There would be someone to talk to or share the labour with. Yes, there is a lot to do on the farm each year, but Wojciech somehow makes it on his own. His parents died several years ago. He had a girlfriend twice, but it didn’t work out. He’s alone now but he’s not living just for himself. There’s also Paweł, a young man suffering from an alcohol addiction, and Wojciech is like an older brother for him. He visits him in hospital, supports him in his struggle with addiction or sits on the sofa with him, watching television and sharing his life stories. And there is the third person, observing their unusual relationship: the Swiss director. Weber keeps his distance, watching the farmer’s everyday life, but then again he becomes a character in the story, introducing himself to the priest or asking about the country life. There is a time for observing church worship and for dancing to the rhythm of popular disco polo hits. The peaceful life in the Polish countryside revolves around the four seasons and Catholic holidays. 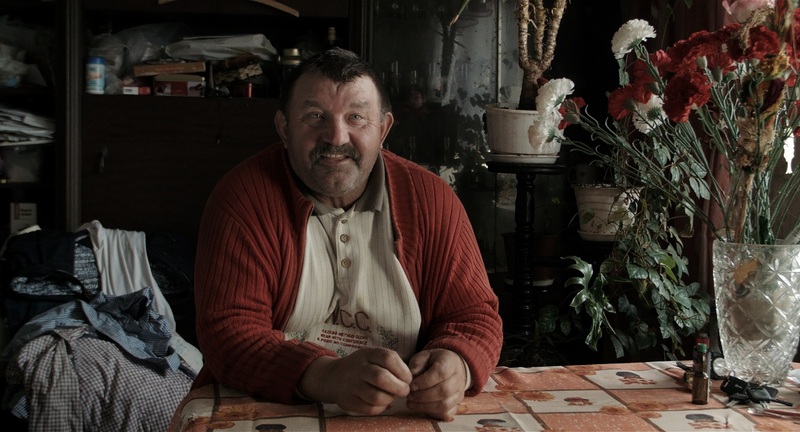 Guest shows the mundane life of a Polish village. It’s dirty and repulsive, in a cowshed or a cluttered attic, but it’s also beautiful, such as when we look out the window at an idyllic landscape of snow-covered fields or grazing cows. The film is warm and honest, just like the main character, who has accepted his fate and solitude. The presence of the director with a camera doesn’t disturb the course of Wojciech’s life but it adds to its meaning.